What Happens When You Take the 4 Personality Types To The Extreme?! We all have personality strengths that help us move toward the direction of our dreams. If you have taken the DISC personality assessment, you’ve learned a lot about your strengths. But did you know your greatest personality strengths can become weaknesses when taken to the extreme? 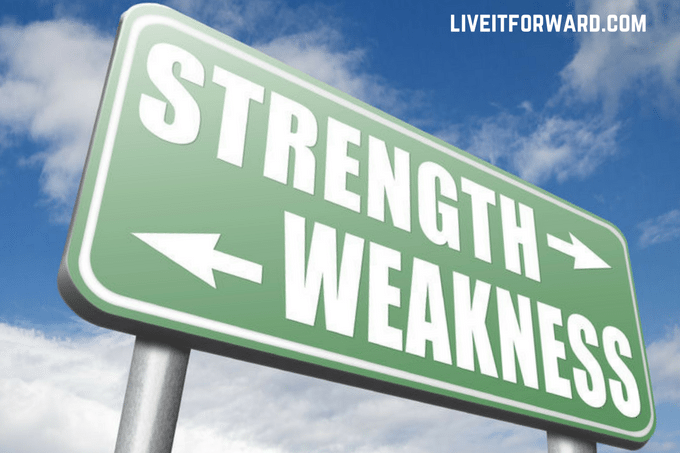 In episode 031 of The Live it Forward Show, Kent Julian shares five insights he discovered when one of his personality strengths became a weakness. Listen to this week’s episode if you want to learn how dangerous it is to put your personality strengths on steroids.